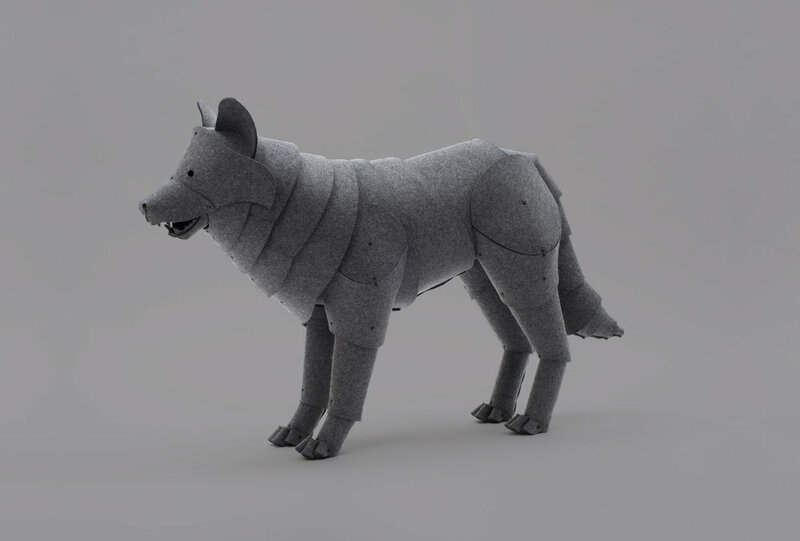 For Heavy Eye’s contribution to the Adiós Artist Residency, we created a life sized felt wolf. The wolf was Inspired by the stories of wild wolves and wild people we encountered on Vancouver Island, British Columbia during a week long artist residency. 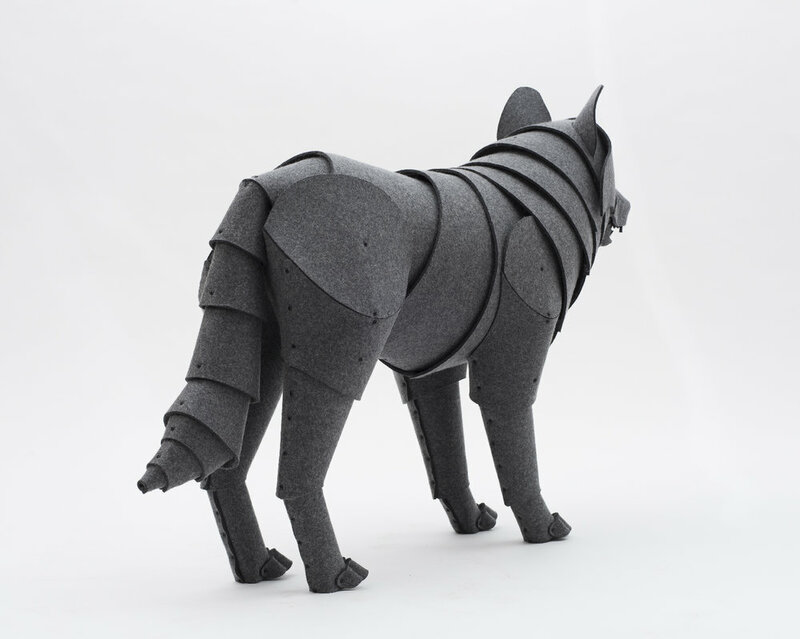 The wolf is created from 1/4" thick industrial grey felt and attached to a CNC cut plywood skeleton. Shown at the Adiós Exhibition at Art Helix Gallery in Bushwick, Brooklyn.